The president of GJU, Prof. Manar Fayyad and Dr. Abdullah Abdullah, the director of the Consultation and Training Center (CTC), attended the ceremony. 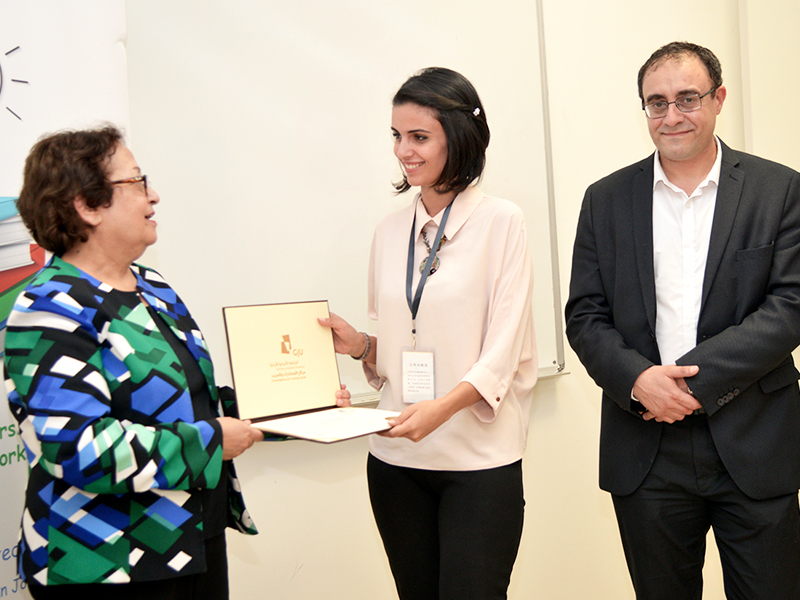 The workshop, which lasts for 5 days with a total number of 34 hours, gave the students the ability to develop business plans and learn from top industry professionals in their fields. Dr. Ala’ Khalifeh explained that he has participated in several entrepreneurship competitions, workshops and training sessions; therefore, he wanted to share his experience with the students on a very early stage, such that they can explore the potential of their ideas and assist them to form startup companies until they graduate. 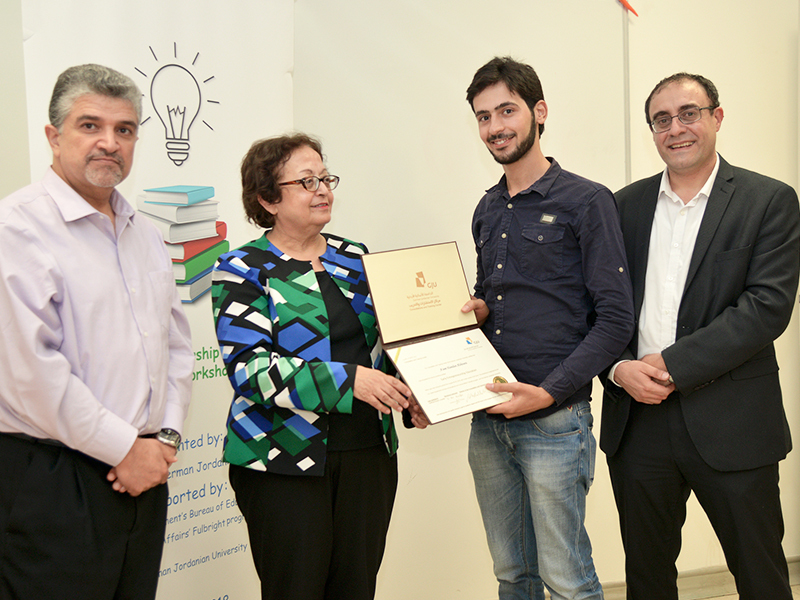 During the workshop, he guided the students to participate in several local and regional entrepreneurship competitions, that not only will give them the chance to connect with other entrepreneurs, but also the opportunity to win financial awards that will enable them to take their ideas to the next levels. 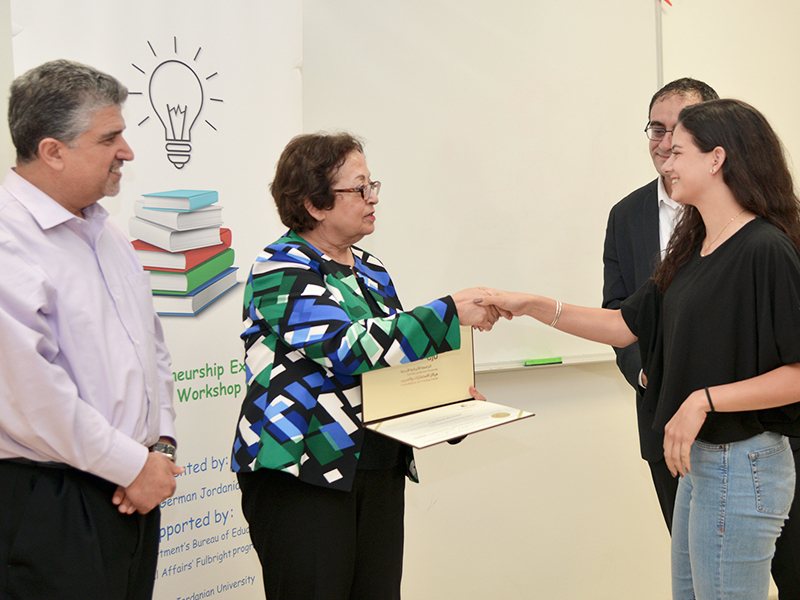 Dr. Khalifeh volunteered to give this workshop as part of the Fulbright Alumni Community Action Grants Supported by U.S. State Department’s Bureau of Educational and Cultural Affairs’ Fulbright program. 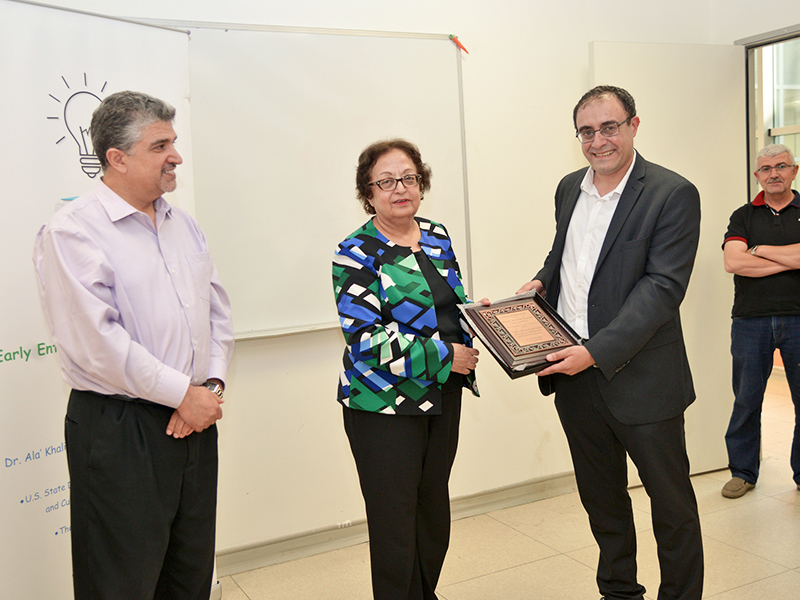 Furthermore, the German Jordanian University supported the event by providing the necessary logistics arrangements and by hosting the workshop at the CTC in Amman. 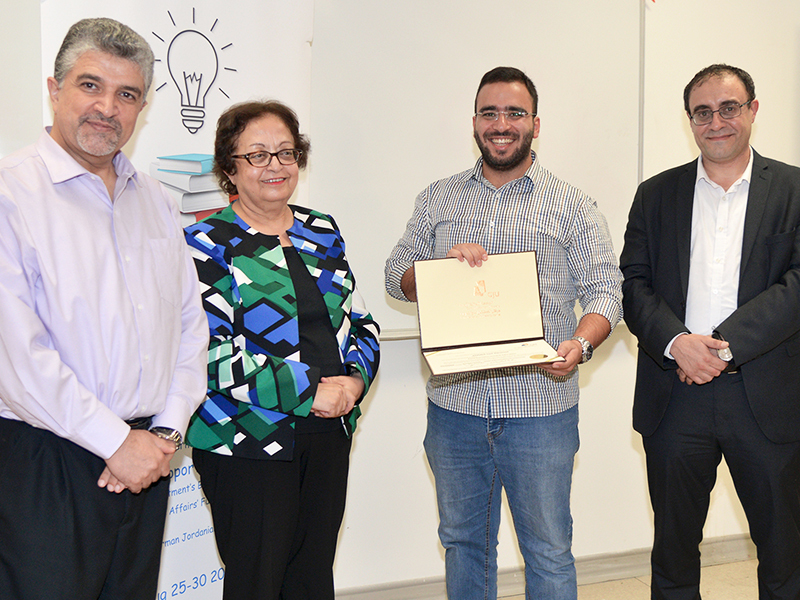 Dr. Khalifeh plans to keep mentoring his students after the workshops in order to help them develop their projects into fully formed businesses. It is worthy to mention that around 30 students from four universities attended the workshop out of 134 originally registered, which shows the students’ willingness and motivation to explore and learn about Entrepreneurship while they are pursuing their study degrees and programs.